Every couple wants something special as a thank you to their wedding guests for coming and sharing in their special day. 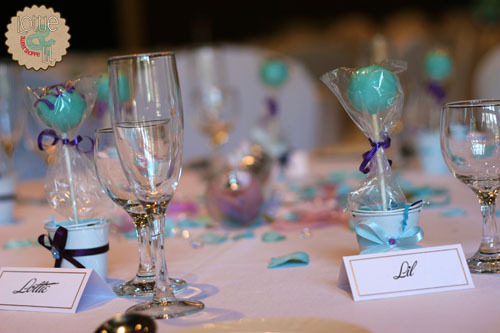 These wedding cake pop favours not only coordinate to the couples color theme but they add decoration to the tables and give your guests something sweet to munch on as they wait for the reception to get started. Every guest will appreciate that! 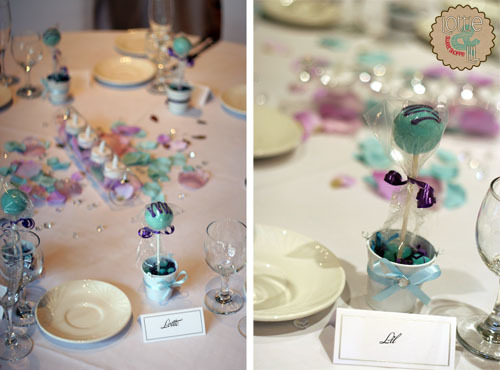 This entry was posted on Tuesday, August 2nd, 2011 at 8:10 am	and is filed under Recent Creations, Wedding Pops.